Indonesian sugarcane and cattle farmers are expressing worry over a possible high inflow of sugar and livestock from Australia following the signing of the Indonesia-Australia Comprehensive Economic Partnership Agreement (IA-CEPA). “The tariff change will disrupt domestic sugar production,” said Indonesian Sugarcane Farmers Association (APTRI) chairman Soemitro Samadikoen as quoted by kontan.co.id on Monday. Currently, Australia is one of the countries exporting raw sugar to Indonesia. 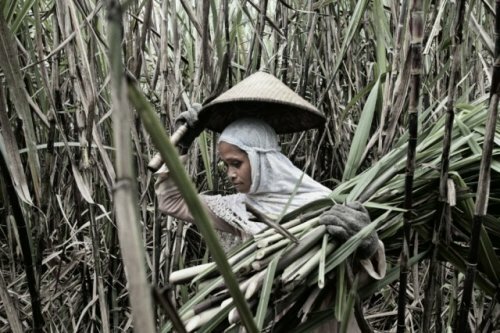 Soemitro said sugar production in Indonesia has not been efficient because of the high basic expenses incurred by sugarcane farmers. Therefore, he added, the decrease of tariffs on imported sugar would weaken the competitiveness of sugar produced in the country. “The negative impact will affect sugarcane farmers, while the benefit [of the agreement] will be enjoyed by other parties [importers],” Soemitro said. He also expressed disappointment that the government did not prepare any trade-offs for farmers. Livestock farmers have expressed a similar concern over the IA-CEPA, saying they would be seriously affected by the agreement because Australia was a major exporter of cattle to Indonesia. “The IA-CEPA has eliminated tariff and non-tariff barriers. It will further weaken competitiveness of local cattle,” said Indonesian Cattle and Water Buffalo Breeders Association official Teguh Boediyan, adding that the local livestock business had been seriously affected by water buffalo imports, mostly from India.